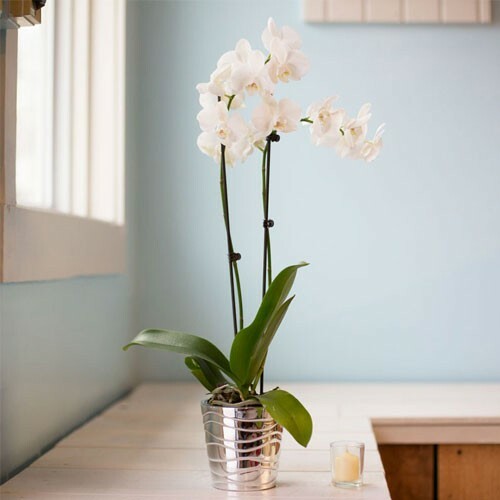 Like doves aloft, our double-plant pure white phalaenopsis orchid will captivate all who see it. Have it delivered to your special someone's workplace and make her or him the talk of the office. Also makes a great business and "thank you" gift. No one can say no to orchids.